The match that represents most famous rivalry in the footballing world comes round again today. Best Playmakers – Who beats Xabi Alonso to #1 spot? Lambert Liverpool – Balotelli dropped? Dani Alves Chelsea – Liverpool face competition for wing-back. Mourinho Wenger – Heated rivalry continues. There is no game in the world like the Superclasico, the game that the Observer described as “making the Old Firm game look like a primary school kick-about”. Here are just some of the reasons that the derby is the greatest game in the world footballing calendar. Buenos Aires is perhaps the best footballing city in the world: there are thirteen clubs from the city in the Argentinian first division alone – that’s more than half the league! 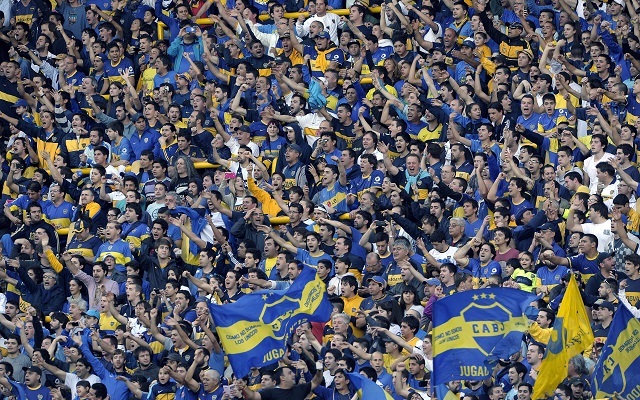 Despite the huge number of options, a reported 70% of Argentinians support either River or Boca, and the whole country grinds to a halt when the Superclasico is on.